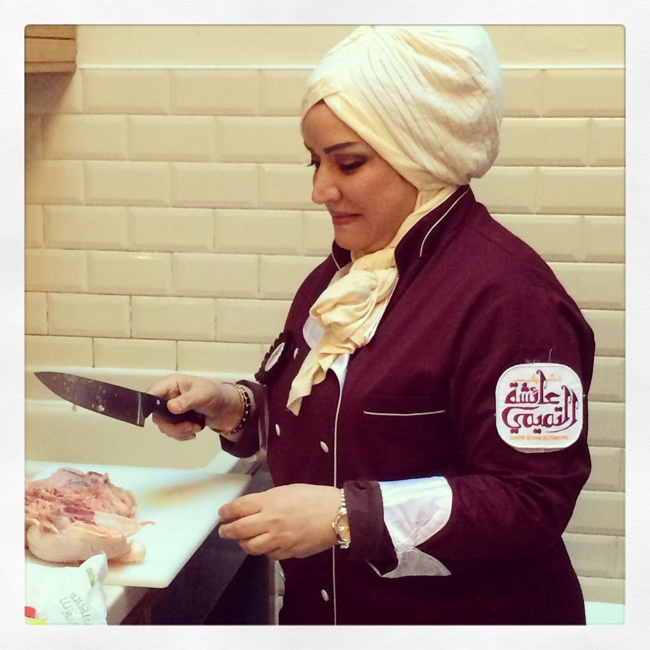 I don’t know if I am the first ever chef-in-residence in a museum but I sure am glad I proposed to do it and was accepted as I am loving my time at Leighton House. There is something wonderful about feeling at home in a museum, and talking about or preparing food in such a beautiful place. Also, the people who attend my sessions are all very charming, and some like the group of Moroccan ladies who came this last Thursday also unexpected. 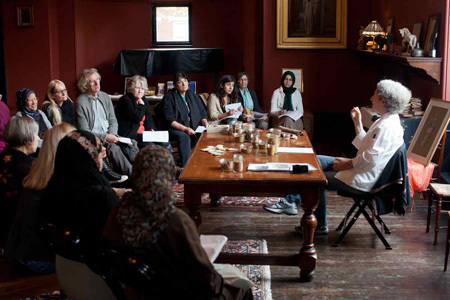 Luckily, Alan Kirwan who runs Nour, had arranged to have the most charming young photographer, Kit Oates, take pictures of my session on spice mixtures and I thought I would share them here. All the photographs are © Kit Oates. Tomorrow is my second chef-in-residence session at Leighton House and it is all about spice mixtures including as ras el-hanout, a mixture of nearly 30 different spices including various chillies, dried roses, the aphrodisiac Spanish fly (for which use the marquis de Sade ended up in prison; the sad thing is I did have some given to me by Lulu Grimes but I don’t remember where I stashed them), cardamom, cloves, turmeric, cinnamon and ginger. Oddly enough ras el-hanout is not used that often, being added to some sweet-spicy tagines, game dishes and kefta. In winter people use it to make an infusion to cure colds because it has warming properties. 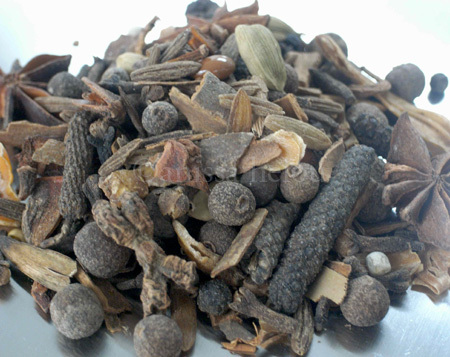 Ras el-hanout means ‘head of the shop’ which reflects the value of its elaborate preparation. Its quality and composition vary from one spice merchant to another and from one family to the other. 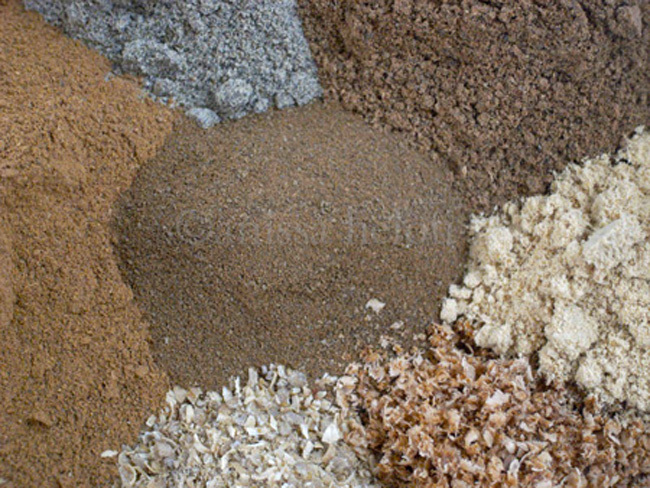 It is sold both in ground form or with the spices left whole as in the picture about, although you need to know your spices well to use the latter as you have to grind the right amount of each. You can find it in the West already ground and packed in small sealed jars or in plastic sachets but often the mixture you buy here is less complex relying heavily on more common spices.